Winner of three international film awards, including a FIPRESCI prize and the GOLDEN OSELLA awards for BEST SCREENPLAY at the Venice Film Festival 2011. Winner of three international film awards, including a FIPRESCI prize and the GOLDEN OSELLA awards for BEST SCREENPLAY at the Venice Film Festival 2011. The Alps are a mysterious troupe of actors who impersonate the recently deceased, helping relatives negotiate the grieving process. dark, witty and deeply surreal, this bizarre yet subtly poignant reverie on the nature of death has wowed festival audiences across the world and secured a name for it's director in the hearts of many. 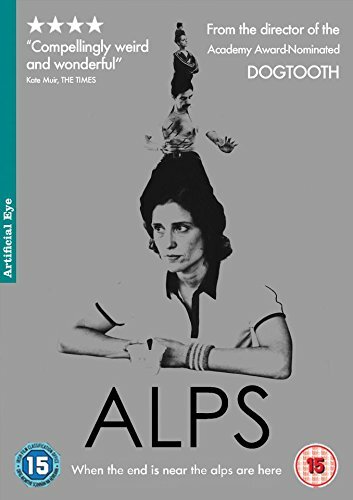 The Alps are a mysterious troupe of actors who impersonate the recently deceased, helping relatives negotiate the grieving process. dark, witty and deeply surreal, this bizarre yet subtly poignant reverie on the nature of death has wowed festival audiences across the world and secured a name for it's director in the hearts of many.